The introduction of anti-Russian sanctions in relation to the Ukraine crisis resulted in the decline of Russia's economy only by 0.5-0.6 percent. Russian experts believe that first and foremost the economy is affected by oil prices, not the sanctions. The introduction of anti-Russian sanctions in relation to the Ukraine crisis resulted in the decline of Russia's economy only by 0.5-0.6 percent. The rest of the recession was caused by record-low oil prices. The Kommersant newspaper writes that this conclusion was made in a study carried out by collaborators of the Russian Central Bank, Andrei Sinyakov and Sergei Seleznev, as well as by economist from the International Monetary Fund Augustin Rointman. According to official information, Russia's GDP in the January-June 2015 period fell by 3.4 percent in relation to the same period in 2014. Vladimir Bessonov, Director of the Laboratory of Inflation Problems and Economic Growth Study at the Higher School of Economics, agrees with the conclusion. "The precision of such evaluations is inevitably relative, however, in general I confirm that Russia's GPD fell in relation to the change in energy prices, not the sanctions." In Bessonov's words, the proof can be found in the chronology of the Russian economy's fall: the GDP's main decline began not a year ago when the anti-Russian sanctions were introduced, but in the beginning of 2015, after the drastic fall in oil prices. "The influence of sanctions on various sectors of Russian industry was mixed. Some sectors were able to establish the process of import substitution. However, it is the key rate and the consequent credit cost within the country that had the main influence on the economy. The manufacturing industry suffers especially from high borrowing costs." In particular, in the end of 2014 the Central Bank was forced to raise the key rate, which determined the cost of all credit in the country, to 17 percent. Later it was reduced to 10.5 percent. The Central Bank analysts' study describes the GDP dynamics model after the introduction of anti-Russian sanctions in the third quarter of 2014 and the fall of oil prices from $110 to $50-55 per barrel. The model used by the authors is based on work carried out by one of the founders of the Chicago School Arnold Harberger and Carlos Vegh from the John Hopkins University. In particular, the authors consciously use the extreme assumption that in the course of the next five years Russia will not have any access to capital in foreign markets, which by 2019 will eliminate the country's foreign debt entirely. In the words of Alexei Baskakov, Director of the Evaluation Department at Finexpertiza, the current situation goes to the advantage of exporters of energy resources who receive payments in foreign currencies, but for the majority of the sectors in the domestic market the rising cost of money has had a bad effect. "We work with practically all sectors of the economy and today don't see any positive structural sectorial transformations, with the exception of, perhaps, import substitution projects, which receive aid from state banks." Moreover, according to Georgy Vaschenko, Director of Operations on Russia's Capital Market at Freedom Finance, due to the fall in oil process, the development of arctic shelf deposits is not profitable. 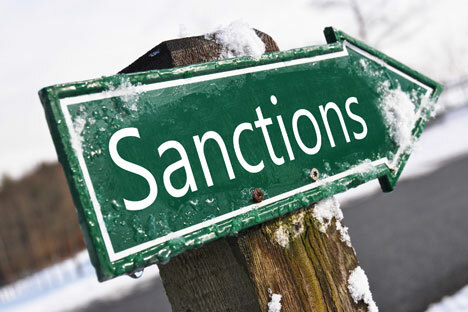 Thus, there is no sense in increasing expenses for buying equipment that is affected by the sanctions. "The main reason for the recession is the inflation brought about by the ruble's fall, which in turn is related to the fall in oil prices and the Central Bank's refusal to support the national currency," Vaschenko sums up.